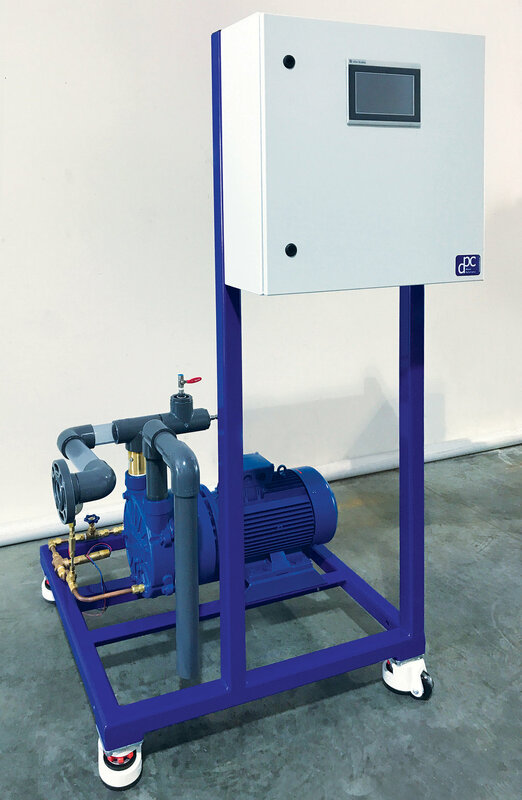 DPC's Unique GTM Module provides the lowest possible cost for removal of both Dissolved Oxygen (DO) and Carbon Dioxide (CO2) per gallon source water. Modules mounted on all welded steel frames can be moved by built-in swivel leveling casters, forklift, and pallet jack. Standardized interconnecting piping to join (2 or more) modules. 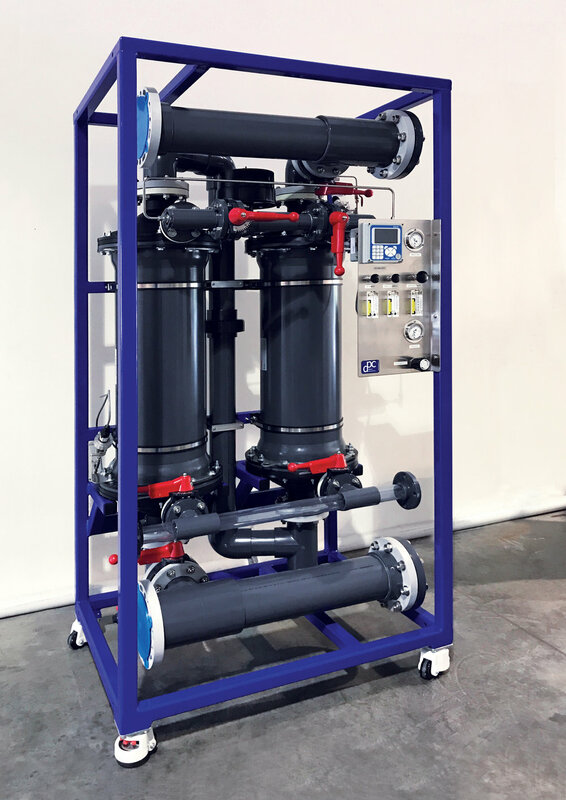 Each membrane contactor can be used for the removal of Dissolved Oxygen or Carbon Dioxide. Modules use the 3M G698 – 14X40” gas transfer membrane contactors. Control panel components: PLC, PLC HMI, motor starter, thru-door power disconnect, and mounting of customer’s oxygen analyzer. Pressure drop per GTM module is < 15 psi at 250 gpm. Allen-Bradley PLC to integrate DPC’s system with customer’s plant DCS. NEMA 4/4X fiberglass control panel enclosure. Each GTM module includes water supply inlet & outlet pressure transmitters, vacuum transmitter and water temperature transmitter.